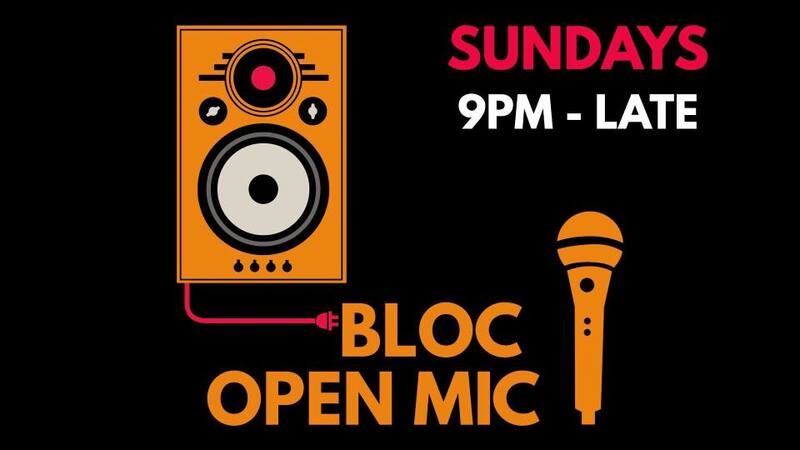 For the last few years Bloc+ has been running one of Glasgow’s most popular and consistently high-quality open mic nights, thanks largely to Jamie Sturt and friends, not to mention our incredibly gifted and facially pleasing clientele. The gear is all ready to go so, if you’re fed up spending Sunday nights apprehensively contemplating the weekdays of early morning traffic, water-cooler small-talk, dole-office appointments or car theft, pop along and enjoy Bloc’s warm atmosphere and cold beverages. Or is it cold atmosphere and warm beverages…? There will also now be a free beverage in exchange for a performance from you fine folk! If you want a free water that is also available too.